TSVV: Celebrating 101 Episodes: Season Finale! TODAY is our final regular weekly show…for a while! We’ll also be celebrating 101 shows and looking back at a few show highlights with some of my celebrity guests and my All-Star Listener fans! Alfre Woodard, Lela Rochon, Bill Bellamy, Rodney Perry, Eriq La Salle, Kym Whitley and others! Actress Vanessa Bell Calloway has done it all from Hollywood to motherhood. Join her as she keeps it real while chatting it up with her famous friends and listeners discussing parenthood, marriage, show business, entertaining and managing a successful career in Hollywood. Vanessa keeps it VERY REAL, and when you listen to the things she says about everyday life you’ll be just like others who really know her and say “That’s So Very Vanessa!” Look for upcoming and archived ‘That’s So Very Vanessa’ shows with Vanessa Bell Calloway by searching Vanessa Bell Calloway in the blogtalkradio.com search bar. If you have an interesting idea or you’d like to be on my show, email me at thatssoveryvanessa@gmail.com or contact my Sr. Producer, Lani Salter at 404-919-7258. 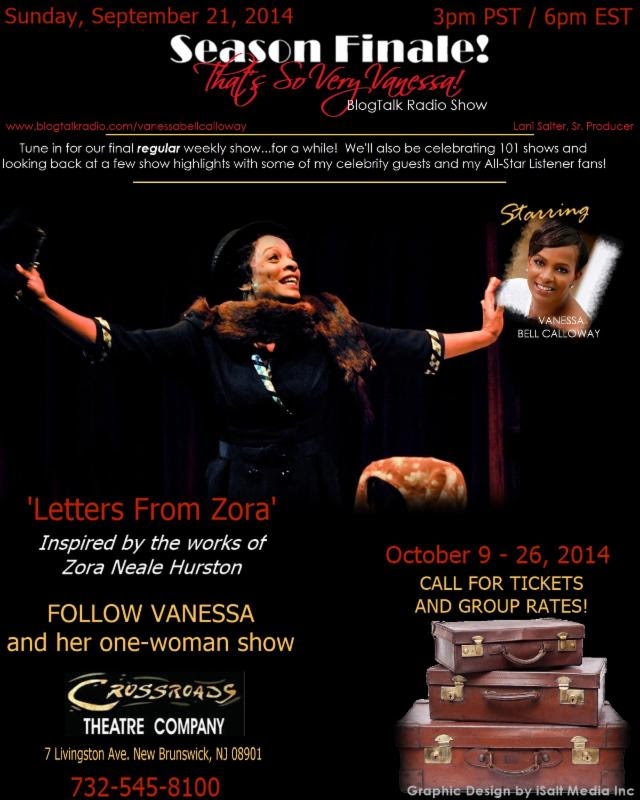 Hosted by Vanessa Bell Calloway.